So little time and so much to learn. We are always in search of a better, more efficient way to learn, remind, or cram all the information needed in order to not only pass, but to achieve our best score. 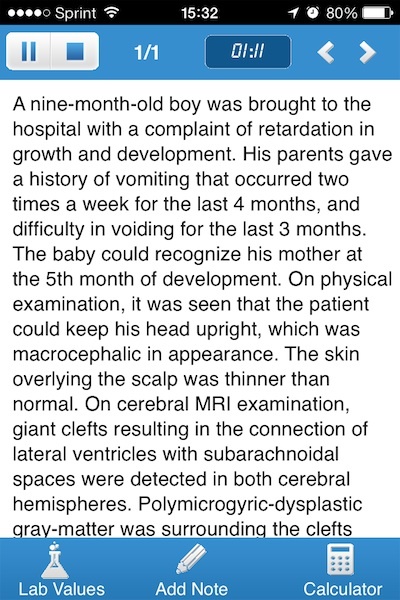 Score95.com aims to help USMLE hopefuls study better in order to better prepare for USMLE Step I. 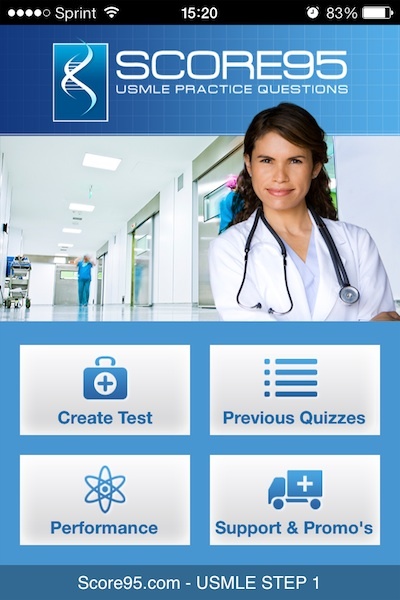 The home screen of the app allows you to create new tests, look at previous quizzes, assess your performance, and access app support. 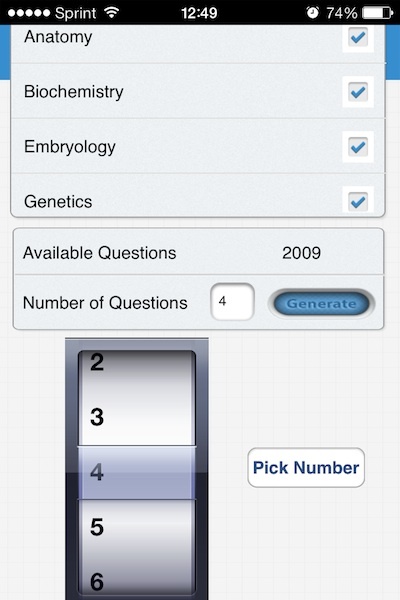 You can populate the test with a variety of questions. You can add questions in multiple areas, but in doing so, the only questions used will be questions that apply to both fields instead of either field. The bottom portion of the screen lists the number of questions available and allows you to specify the number of questions for the created test. 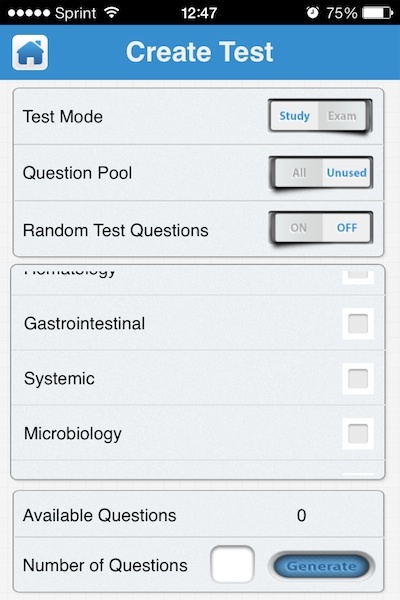 Within each test, the tool bars give you multiple features: pausing/stopping the quiz, the question number, question navigation, and lab values, calculator, and add note functions. The question stems are generally long. Answer options are listed below. At the end of the quiz, the test results page shows the number of questions correct and incorrect and allows you to briefly review questions. The only change in the test mode is a timer at the top of the screen. 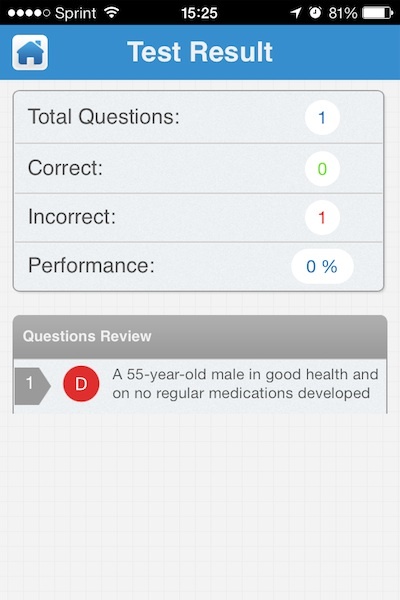 The Performance page shows percent of questions correct by discipline and color codes whether a particular discipline is an area of strength, caution, or weakness. 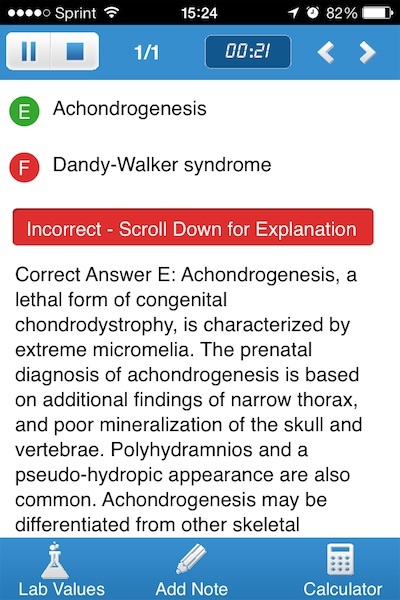 The previous quizzes page lists your complete and incomplete tests. You can access your incomplete tests from this screen, but not completed tests. 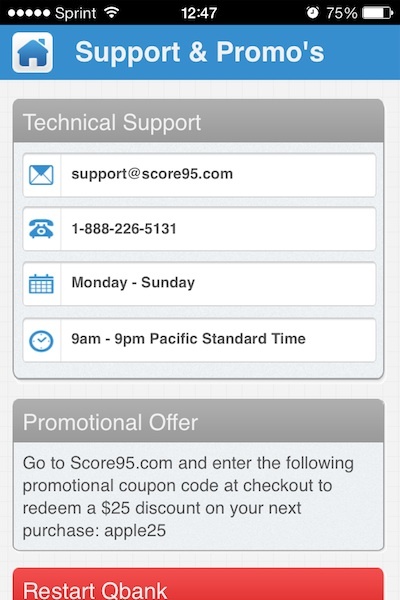 You can reset the Qbank from the support page, which also provides information on technical support and promotional offers. 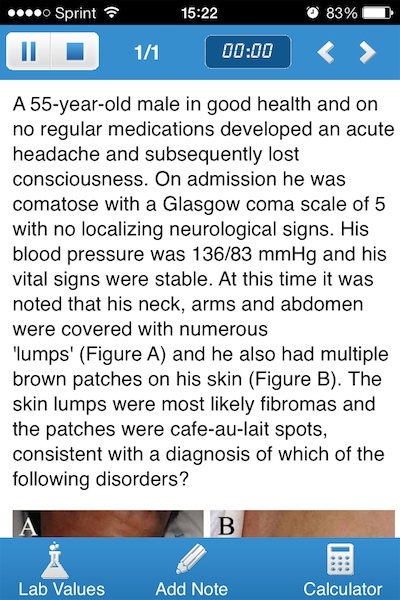 The 2000+ USMLE Step I Questions app provides a multimodal study tool to prepare for USMLE Step I. The question stems are longer than questions on the actual Step I exam, but may help train the test taker to find the most relevant and pertinent information in a efficient manner to answer the question correctly. 1. User Interface – 4. Easy to navigate around the app. Currently unable to access previously answered questions. 3. Price – 3. On the more expensive side when compared to other apps, but less expensive than most question banks for USMLE Step I. 4. 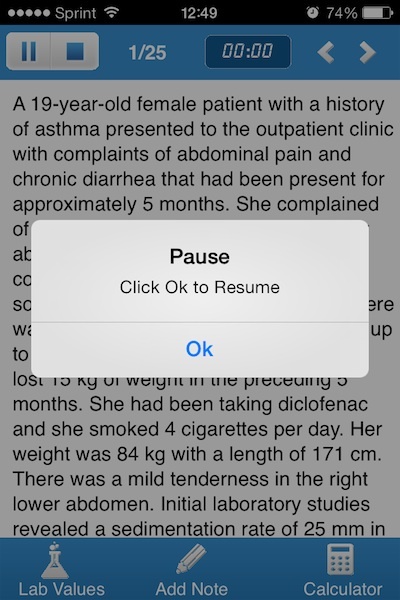 Real world applicability – 3. 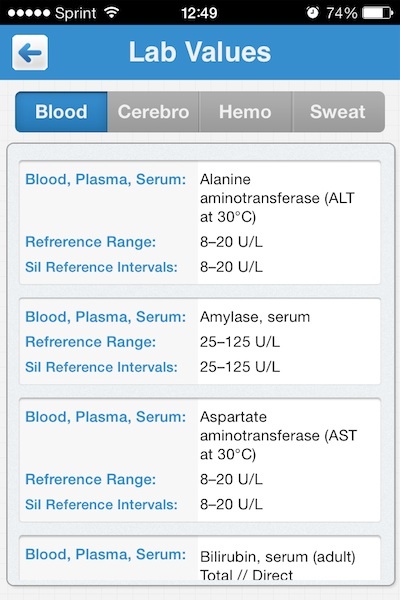 Could be used on a daily basis while preparing for the USMLE Step I, but less use after completing the test.